The BUST Holiday Craftacular in NYC This Weekend! We all know that handmade gifts are the way to make loved ones feel warm and fuzzy. Well, New York crafters, listen up: At this weekend's BUST Magazine Craftacular, at 82 Mercer St., you can not only shop 'til you drop for cute indie goods, but you can also create some DIY gifts of your own. 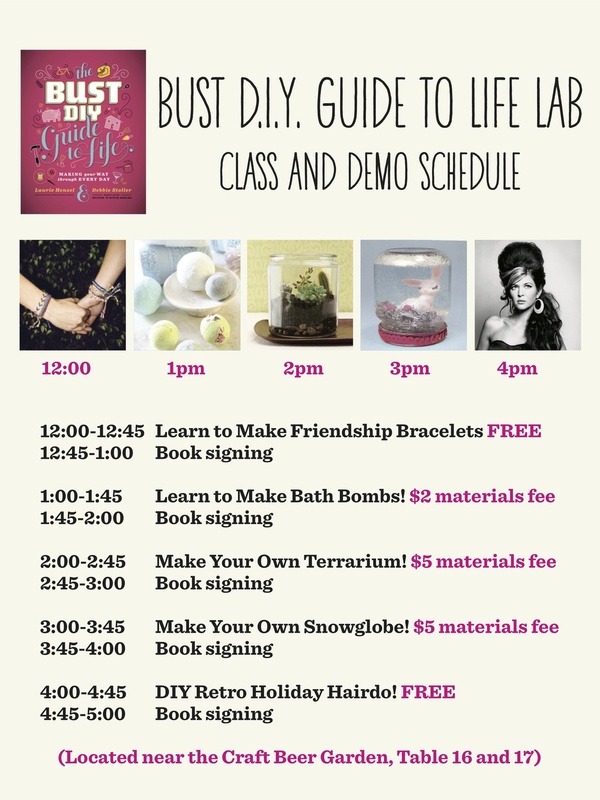 At The BUST DIY Guide to Life Lab there will be classes on both Saturday and Sunday afternoon on how to make friendship bracelets, bath bombs, terrariums, snow globes, and rad retro hairstyles. All projects are excerpted from The BUST DIY Guide to Life, and authors/BUST magazine co-founders Debbie Stoller and Laurie Henzel will be on hand to sign copies of the book (which makes a great gift in and of itself). Pre-register online to reserve your space. Hope to see you this weekend!